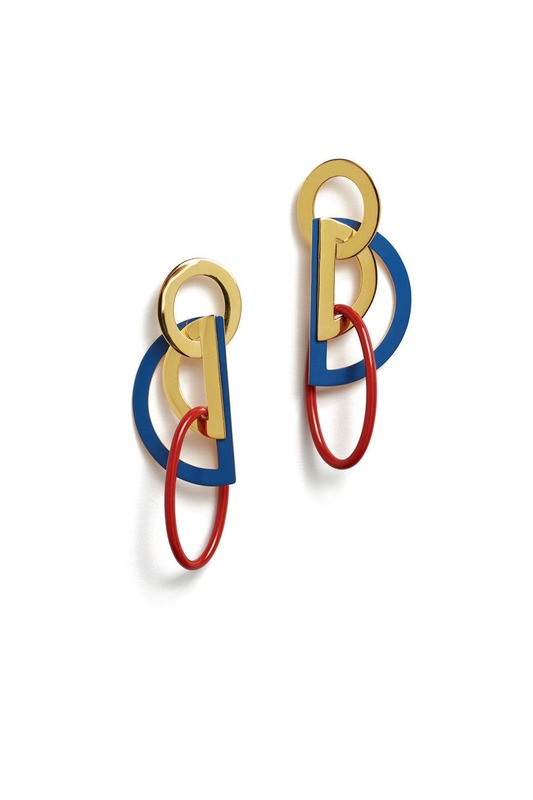 Geometric and fun, these Lizzie Fortunato earrings will highlight your look. 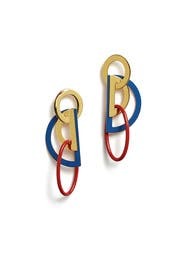 Gold-plated geometric link earrings with navy and red enamel accents. Post backs for pierced ears. 3" long. 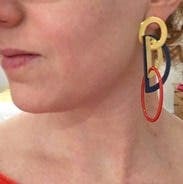 Got my morning Starbucks and the barista said "I don't know what is going on with those earrings, but I'm FEELIN THEM". Couldn't agree more! Light weight, interesting to look at, brighten up a plain white shirt! I liked these but ended up not wearing because they were too much for a regular day. Would be good for an event to bump up a simple outfit.